Artisan of Creative Miracles: Creating Challenge Day 32--Let's Go Fly a Kite! 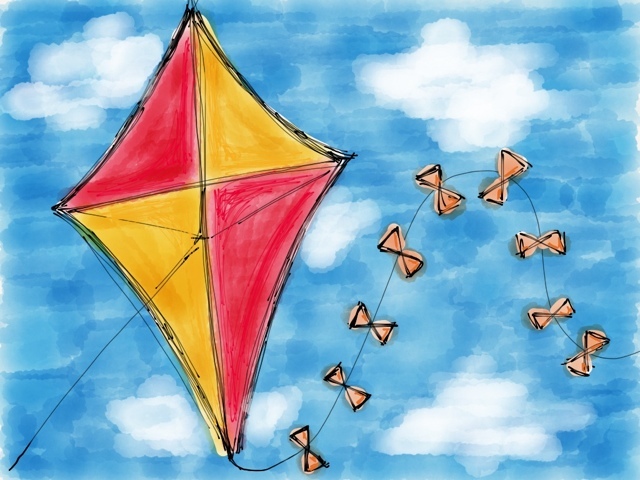 My friend Leslie Graves is looking for images of kites, so I created one for her. Her request gave me another excuse to paint on my iPad, an activity which has brought me much joy this week!